The Jammu and Kashmir High Court on 3 September ordered a CBI probe into the multi-crore scam in the state's cricket association. A division bench of the court, comprising Chief Justice N Paul Vasanthakumar and Justice Bansi Lal Bhat, pronounced the order on a PIL filed by two cricketers Majid Yaqoob Dar and Nissar Ahmad Khan into the scam in Jammu and Kashmir Cricket Association (JKCA) that had surfaced in 2012. A detailed order is expected to be out later in the day. 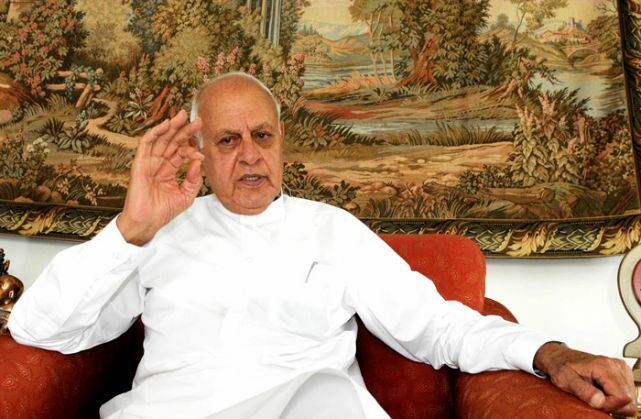 The bench had on August 25 reserved its order on whether to hand over to crime branch or any other agency the investigation into the alleged embezzlement of over Rs 113 crore funds in the cricket association, which was headed by former Chief Minister Farooq Abdullah at that time. The alleged scam was being investigated by a special investigation team of police, which failed to conclude the probe for nearly three years. "Our only doubt is whether the crime branch can go to BCCI (Board of Control for Cricket in India) from where funds are flowing and make investigation there (BCCI headquarters, Mumbai) or some central agency is to be involved," the bench had observed during the last hearing. The JKCA was in the midst of another controversy in July when a rebel members' group sought to end Abdullah's 35-year-old rule as the president of the association by electing PDP leader and Sports Minister Imran Reza Ansari as its new chief. The Abdullah-led faction has challenged the elections in the court.